Rob Carrey is a successful documentary filmmaker who has returned from a shoot to New York City, where he's prepared to separate from Carolyn, his long-time love. But when he finds an invitation to his boarding school reunion in his pile of mail, Rob begins a painful journey into his past—one that will alter the course of his life forever. Years ago, Rob was a scholarship student at the elite Fenton School, where he became a star member of the rowing team. Generations of Fenton men had led the rowing team, known as the God Four, to victory—and Rob would be no exception. But as the team's most important race drew near, and tempers and lusts reached the boiling point, Rob found himself in a dilemma: If he sacrifices everything to win he stands to lose everything that matters. Which is the right path—and where will it lead him and the ones he loves? That is the question at the heart of Ron Irwin's Flat Water Tuesday, a deeply affecting novel about what it means to fight for love and victory, in sport and in life. RON IRWIN was born and raised in Buffalo, New York, and attended boarding school and college in New England, where he was a member of a number of winning rowing crews. He currently lectures in the Centre for Film and Media at the University of Cape Town, where he has taught since 1999. Irwin holds a master's in Literary Studies and a master's in Creative Writing, and has worked as a freelance documentary filmmaker and journalist. He is married and has three children. 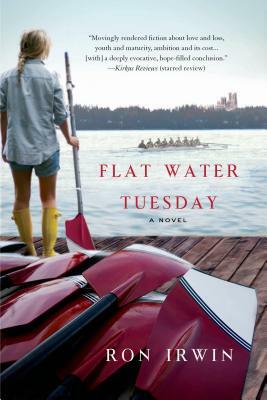 Flat Water Tuesday is his first novel.